IPv6 is “adulting.” No longer a playground for innovators and early adopters, the new-generation technology has “grown up” having now reached early majority status. So, the IP-networking world is turning IPv6 on, and turning IPv4 off. But why? Well for starters, all five of the Regional Internet Registries (RIRs)—nonprofit corporations that administer and register Internet Protocol (IP) address space—have run out of IPv4 addresses. So there is that. But there are other reasons for the migration as well. 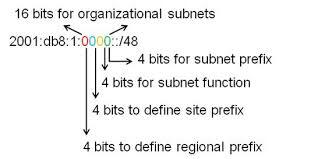 IPv6 networks are cheaper and simpler to operate and maintain. For an enterprise, maintaining NAT (network address translation) tables is complex, time-consuming, and costly. Such costs include purchasing additional IPv4 address space as the network grows, and extra equipment such as Network Address Translators–a solution for inadequate address space, which are no longer needed after the transition to IPv6. According to IPv4 Market Group the price of an IPv4 address ranged from $6.99 to $15.30 in 2015. The price of an IPv4 address has now reached its expected high point for 2018. Meanwhile, cloud-hosting providers these days charge for IPv4 addresses and give IPv6 services away for free. So, in the current climate, most companies today will be better served—and better prepared for future operations (and profitability)—by selling their existing IPv4 address space and investing the cash into deploying IPv6. Once the CIO has decided to make the switch-over to IPv6, there is a challenging truth: the existing capital equipment networking software may not yet support it. That means an evaluation is in order to figure out the impact, define the technical project and budget for the effort. Now is the time. So here is the good news for Patton customers: we saw this coming. Since 2011, Patton’s hardware platforms and operating system for SmartNode VoIP CPE were made ready to support IPv6. Already, Patton has tested and proven SmartNode CPE with carrier customers for SIP trunk service delivery using IPv6. Naturally, ongoing development will continue. ² to date access control list (ACL), domain name server (DNS) client, SSH and Telnet access all support IPv6. IP addressing & static routing, DHCPv6 and SLAAC are on the roadmap. Where is your organization in the process of IPv6 adoption? How do you see the cost-benefit of moving to IPv6 for your network operations?